The culture in a society is shaped by the values prevalent in a society and the practices followed by its citizenry. The political culture would therefore be reflective of the political values and practices of ‘the sovereign people’. In a society that is greatly addicted to liquor a leader who bases his campaign on banning liquor and closing down bars will have a poor chance of being elected to office in any election. If the society does not disapprove of violence in political life, such violence will continue to hold sway. The conduct of the public (or at least a section of them) in relation to the incident where the Chief Minister of the Uva Province is accused of forcing a Principal of a girls’ school to kneel down in his presence as a punishment for not complying with his directive to admit a child to School further confirms that not all members of the public would find the incident abhorrent to their values. What transpired last week after the Police produced the Chief Minister before the Courts and he was bailed out is quite revealing. A large crowd cheering the Chief Minister walked with him to his office where he was conferred blessings by a large number of religious leaders. The cheering crowd made the Chief Minster look like a hero who had accomplished a great feat that he and his supporters could be proud of and which action had been endorsed by religious leaders. The conduct of the crowd that accompanied the Chief Minister from the Courts to his office provides valuable insights into the thinking of the public. While it would be correct to assume that the crowd did not represent a cross section of the public and probably comprised the Chief Minister’s supporters the fact that a substantial section of the public was prepared to demonstrate their support for his abominal actions against the Principal showed they were insensitive to what was right and wrong. Even if the Chief Minister had at any time felt a sense of remorse or regret at his conduct his cheering supporters would have emboldened him and given him the endorsement that he had done no wrong. And if the crowd had acted as an unthinking mob, the calm and serene religious leaders who were not emotionally charged conferring their blessings on him would have undoubtedly settled any pangs of conscience that he may have had. The public and religious leaders treating errant politicians as heroes is another new but increasing feature of our political culture. Our TV screens often see politicians who are charged in the Courts on criminal charges being visited by religious leaders in the premises of the Welikade Prison to bless them and give them spiritual succour. While these religious leaders may believe in the respective politician’s innocence and therefore give them spiritual strength by blessing them, their doing so in public before TV cameras could send out wrong messages to the public and particularly to the younger generation who sense of right and wrong could greatly be dulled by these sights. If these religious leaders wish to spiritually sensitise and bless the errant politicians who have been charged of criminal offences they could easily do so behind closed doors away from the glare of publicity. Returning to the happenings in the Uva Province, the Chief Minister has been stripped of his position as Education Minister but retains his position as Chief Minister and Minister of Law and Order under which comes the Police. The purpose of him being removed as Education Minister is apparently to prevent any influence being brought with regard to the inquiry in respect of the Chief Minister’s alleged actions. However as far as the public is aware his conduct is only the subject matter of a police inquiry with no Education Ministry inquiry being held. It is not clear what offence the Chief Minister is being charged with but the inquiries have taken an unusual turn with the Principal being subject to a psychiatric examination on the request of the Police despite her being the victim. The Government has now appointed Senthil Thondaman as the Minister of Tamil Education (whatever that means). One of his first tasks was to visit the Principal of the School and question her about the incident. What impact appointing Mr. Thondaman, (who is no stranger to controversy according to Minister Mano Ganeshan) will have on any inquiry conducted by the Ministry of Education remains to be seen. The dramatic happenings in Badulla continued on Thursday when Arumugam Ganeshamurthy a Provincial Councilor who had crossed over to the UNP from the CWC a few days earlier was attacked when he arrived for the Uva Provincial Council meeting. The attack was like a scene from a Tamil movie with a large crowd of bystanders and the Police watching with crackers exploding in the background. Ganeshamurthy was admitted to the hospital following the assault but next day the Police produced him before the Magistrate who granted him bail. According to the Police there had been several complaints against the Provincial Councillor on account of obtaining money on the pretext of giving jobs and he was produced before the Magistrate on charges of misappropriation as well as on charges of unlawful assembly and assault. Why the Police had to wait until Ganeshamurthy was assaulted to take action on these complaints only they can answer. There has been no news of any arrests being made with regard to the assailants of Ganeshamurthy at the Provincial Council premises. 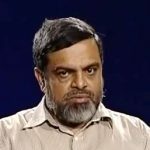 Fortunately the allegations against the Chief Minister has now come before the Human Rights Commission whose findings will establish the circumstances relating to the complaint of the Principal and the principles that should govern the handling of such situations and recommend suitable action against all those responsible. Moving to the south of Badulla, in Kataragama an unfortunate incident occurred when a 43 year old man riding a scooter died after being shot at by the Police allegedly for not stopping when requested to do so by the Police. This resulted in public unrest with the Kataragama Police station being stoned by protesters. It was only after the Special Task Force was called in that the situation was brought under control. The man who accompanied the deceased on the pillion and survived the shooting however contradicted the Police and said that the Police Constable had shot at them after the scooter had come to a halt following the order to stop. Which version is correct will have to be ascertained only after an independent inquiry. However the whole incident raises several questions that demand the attention of the Government and the higher authorities of the Police as well as the National Police Commission. Firstly on what criteria are Police Officers allowed to carry firearms when on patrol. What is the skill level of the Policemen concerned with regard to the use of such firearms. Having regard to the fact that they do not have regular practice in the use of such firearms are not civilians at great risk when Policemen resort to the use of such firearms. In the case of this incident if one accepts the version of the Police would it have not been sufficient to shoot at the tyres of the motorcycle rather than the head of the motorcyclist to ensure compliance. Or if the Policeman actually targeted the tyres of the motorcyclist did his lack of accurate shooting skills result in the death of the motorcyclist. Whatever be the outcome of the inquiry against the suspect Police Officer, the family of the deceased will have to live without their breadwinner and the children without their father due to the failure of the State to take due care in the maintenance of Law and Order. A few months ago a similar incident took place in Jaffna where death was caused by Police shooting at motorcyclists. The outcome of that inquiry is not known but the same concerns can be raised with regard to the use of firearms by the Police there too. Failure to look into these issues and take corrective action can put the lives of many innocent civilians at risk in the future too. Following the shooting incident at Kataragama, officers attached to the Police station had reportedly come forward to help the family of the deceased by helping to repair or construct their house. While the gesture of the Kataragama Police is laudable it can be perceived as an attempt to influence the inquiries by placating the deceased’s dependents and relatives. The same objective of mitigating the harm caused to the decased’s family could be better achieved through some other agency of Government unconnected to the Police Department. The violent protests that took place after the shooting have also become commonplace all over the country whenever something that incurs the displeasure of the people takes place. This is partly due to the lack of confidence the public has with the ability of the Government machinery to handle such situations. The task of handling such protests falls squarely on the shoulders of the Police who are often hard pressed to do so due to the lack of manpower, training and direction. They are taunted by the protestors but have to act with restraint which will test the endurance of the most patient. The habits of the past sometimes come to the fore and police action against such protestors has often been strongly criticized when it crosses the permitted boundaries. Mercifully the Police have been able to restrict themselves to the use of water and tear gas when protestors get unruly. There is a real danger that they can snap with the increasing number of public protests testing their endurance to the utmost. It is imperative that the hapless Police are reoriented and trained on the rules of engagement with regard to handling protests of different forms without delay. This will help to prevent social unrest arising from wrongful police action as well as protecting the Police from unnecessary criticism in carrying out the difficult tasks they are called upon to perform. Javid Yusuf is here. Have a go at him. Demand him peace be restored through out the world and hold him responsible for all the conflicts in Middle East and rest of the world. What are you waiting for. Percy and other bigots are ready to support you. Go on be a man/woman/it. I think it was Winston Churchill who said: ” The best argument against universal franchise is a 5-minute conversation with an average voter”. These jackasses in Uva prove it. Dumb Native Veddo: there is part that is not discussed by anyone. Who created it. Why that woman principal could not accommodate just one more Student. she says, it is her voluntarily who beet in front of her. She said on principal she did not want to listen to a politician. I think she had orders from another politician to create this situation. What is the party of Harin Fernando. IS it possible UNP created all these in order to escape the bond scam. All the accused thieves are making statements implying that all of them are honest and nothing happens to UNP. why. 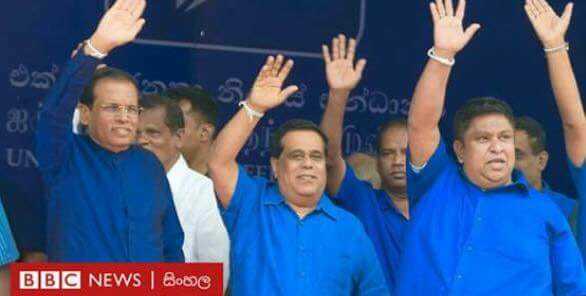 I heard Ranil is a little poodle infront of MY3 and he is willing to do anything for MY3. So, MY3 says he is a buddhist and how he is reluctant to take any sudden decision against Ranil. On the other hand, govt changed laws to acquit RAVI the lIAr,. CT says, one more is coming to Save Arjun Mahendran too. Ranil has decreased the loss to 9.5 billion when Central Bank doe snot keep any money. They had stolen govt money. They. GOVT, borrowed govt money and sold to the govt at higher interest. Nothing happened. Ranil the thief is still covering up. So, he needs few scandkles of this type. You are so dim you lost the plot. The issue here is ordering the poor woman to his official residence. Now will you shut your front and back and go to bed? Always unable to counter an argument, but never short of invective. Is that something to do with his genes or his upbringing, or the thosai diet? YUSUF: For any unconscious mistakes made by police, training is the ONLY solution and not the accusation. Why that is big when Ranil the Hora and his gang is still outside. Why you are so dishonest to talk about those. Don’t you understand how hard he is trying to cover up. He sent Arjun Mahdendran home and He is keeping legal experts in Sri lanka. You lost credibility. A teacher whether male or female must be a person with appropriate personality to be an example for the children. He or she must be able not to give in to an inappropriate requests or demands of anybody even the president. In this incident a politician has been charged for requesting a school principal to kneel down. The said teacher has failed the test so she must be sacked with immediate effect as we don’t want such teachers in our schools. Following the incident the government has appointed Senthil Thondaman as a Minister. This is obscenity of the lowest kind. We know how it will end. Our only hope is with SL Human Right’s Council. Thank you Javid Yusuf for providing more details regarding the case: Uva CM vs Principal. The article captures our collective failures compounding an already fragile system which is unable to deliver justice to the victims procedurally from the moment an incident takes place. All are innocent until proven guilty that includes the Chief Minister, the Principal, Police Officers any other Civilians no doubt. If the system fails to account then a independent body should take care of the inquiry on behalf of the government/people/victims/accused to deliver impartial evaluation to assist the eventual court proceedings as well as to identify and make recommendations/corrective actions (lack of training, abuse of power, misunderstanding of their job responsibility) that exists within the system too. However it is also concerning to learn the lack of respect for the “law and order” and responsibilty from those who suppose to uphold/ practice / implement / set example to all citizens as elected and assigned officials as well as the community/spiritual leaders interfering in a judicial process affecting the justice beyond repair/reason. The article also captures the situation where a frustrated public is only left with mass protests which will only lead to more injustice. It is a vicious cycle need to be addressed immediately and this is well captured in this article. Thank You.